When oxalic acid is approved, something similar to Mite Away will come about. It might just be evap pads, specially designed to fit in Langstroth hives. Or it might be the acid in combination with some other treatment - introducing MelliFree strips, the all-in-one total mite solution, featuring oxalic acid and menthol for control of Varroa and tracheal mites in one convenient treatment! A litte imagination goes a long way. but Mellifera, you have very poor knowledge about these stuffs. Sad to say it. Oxalic acid is carefully researched 15 years and all information is in internet. Get the basic knowledge first. Think 15 years research. Does it mean something? And results has been splended. Put into google "varroa nanetti" if you need good information. Nanetti is a beekeeping professor in Italy. Don't be sad to say it - you are correct I know absolutely nothing about oxalic acid, except that it is not yet approved for use in beehives where I live. I don't know where it comes from naturally, how it is derived, or even what form it commonly comes in - powder or grains or liquid? No clue. 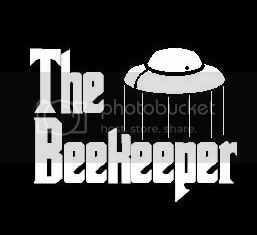 On the other hand, I have no reason to say you're wrong about it being useful; I have no reason to doubt its efficacy as so many beekeepers such as yourself have testified to it. You're obviously really passionate about it, and you've been a beekeeper longer than I have been most likely, and I respect that and I want you to know that I believe what you say. It's just that, for myself and only myself I have ethical reservations about using illegal treatments, or better I should say treatments that aren't strictly legal where I live. I don't believe in the attitude that things are only illegal if someone else sees you doing them. And yes I realize that if I were to use oxalic acid in my hives when I started them again next year, my state's department of agriculture would NOT raid my little apiary with an FBI SWAT team; likewise, I know that few of my fellow beekeepers would judge me harshly if I used the stuff (and I hope nobody feels I'm judging them by abstaining); but to me those things makes little difference, they are not drivers of my behavior. I'm not exactly a Dudley Do-Right; but I prefer to be straight-laced, if that makes any sense to you. Little things like this matter in that regard. In your earlier post, you noted that the European universities found that the best mite treatments were thymol, formic acid, and oxalic acid. Well, oxalic acid has not been approved here yet; but thymol and formic acid are available. I can use those. Recently moved; re-keeping in 2014. If you do not use oxalic acid, it does not make it worthles. It is the best method ever developed when hives are without brood during winter. It is easy to use for swarms too. Propably it does not work in Louisiana. Do you drive ever over speed with car when you have so pure soul? Are carrots illegal in USA? They have 100 times more oxalic acid than honey taken from treated hive. Again, I'm sure it works fine. Speeding in a car? I have looked down at the speedometer and found I've gone overspeed. Then I slow down. When I was a young person I sped a few times on purpose. Nowadays I use cruise control, which electronically maintains a chosen speed; I set it, and it eliminates the possibility of going overspeed on accident. You think the situations are analogous? It isn't really possible to accidentally treat your colonies with oxalic acid as far as I'm aware. Carrots are not illegal in the US; also, bees do not eat carrots, and I never mentioned being concerned about honey contamination from oxalic acid treatment as a factor which informed my decision. I would like to know, if as you said the studies mentioned that thymol and formic acid as well as oxalic acid are the best treatments for bees, why using thymol or formic acid isn't good enough. You said they were two of the best. Now you act as if they are insufficient. I'm confused by this inconsistency. [ You said they were two of the best. Now you act as if they are insufficient. I'm confused by this inconsistency. ok, you want that your life is perfect. So beekeeping is not your thing. Bees have 32 diseases and pests. You ask why? I answer, why I should know? Oxalic can be dribbled in the hive when they are broodless in December. When bees are broodless, mite reduction is more effective. Starting into spring with a near zero mite count gives a drastic reduction in mite numbers in August. If you incorporate a couple methods, mites can be knocked down to a small factor in bee diseases. The point is even though oxalic has not been approved in the US it has a proven track record in Europe and Canada where it is used quite regularly. Powdered sugar is not a approved method, but many use it. I have heard many package producers are hitting the bees with oxalic before sending them. But I do not know if this is fact.If they are , they are doing the beginner a favor in making it easier to get through the first winter. I have heard many package producers are hitting the bees with oxalic before sending them. But I do not know if this is fact. oxalic is splended to handle swarm like packages. It has no gas or odor problems and does not hurt queens and bees are not panicing. Many of these microorganisms fill some niche that keeps out pathogens. Many are necessary for the proper fermentation of bee bread. Many are necessary to protect the gut of the bee. All of the treatments will affect one or more of the above. Amitraz will kill the beneficial and benign mites and insects, e.g. psudoscorpians etc. So will Fluvalinate (Apistan) and Cumophos (Checkmite). The organic acids and essential oils will wipe out the entire spectrum of microorganisms and probably many of the mites and insects as well. I agree that it is important that we be aware of the complex ecosystem within the beehive and take it into consideration if we treat and when we treat. The sites above give us that. By the way, only one makes reference to the effect that antibiotics only have on the microbes within this ecosystem. I'm a firm believer that any medication should ONLY be taken in the case of severe disease or to prevent death. I've taken antibiotics for this reason - as much as I was against doing so. My gut was doing some summersaults for awhile, I ate a good deal of yogurt and - I lived. My intestinal flora came back, I regained my health and I'm back in shape. And I'm sure others on this forum can report similar experiences. I understand the argument against treating and I'm also familiar with the passion of the "treatment free" crowd: If you treat, you breed stronger mites and weaker bees. This argument has great merit. But I'd treat to prevent a loss like the one I had this past winter - 100%. And although I don't want to go anthropomorphic here, I'd treat to prevent the suffering and slow death of hundreds of thousands of creatures that benefit humanity so greatly. (I'm fairly certain you feel the same but you approach the saving of the honeybee from a different perspective.) I think it's possible to extrapolate from the medication of animals - including us - that if the bees survive, the beneficial microbial flaura and fauna within the hive will return and the surviving bees will be given a second lease on life. We've also learned hard lessons from the factory farming industry that you don't medicate animals prophylactically or around the clock. This has given us antibiotic resistant bacteria - super germs - and early puberty in children. Now science is doing catch up. And then there is the ethical consideration: If we have the power to save life, should we take action? Should we allow our bees to die while waiting for nature to create that dynamic equilibrium? Does humankind have a responsibility to be involved in this process? We already are. Look at the enormous amount of time, energy, resources and money going into bee research. Another case in point which I believe is has arisen from a deep ethical impulsion: The explosion in the numbers of "backyard beekeepers" ever since CCD became a household term. On another note: Other than anecdotal reports, I'm extremely skeptical that your successes have been reproduced on a large scale. If they have been, I'd love to see the research, data and results. So I just recently looked up the state regs regarding beekeeping. I looked it up because of another of those "it's against the law" statements. In that case it turned out that it was true. I didn't see anywhere that it said that I couldn't use oxalic acid as a treatment for mites. Nor did I see any list of "approved treatments" for mites. A. The following diseases and mites, having been determined by the Bee Advisory Committee as being hazardous to the beekeeping industry in this state, are contagious diseases for purposes of C.R.S. 35-25-101 et seq. 1. Application of a powder consisting of approximately 3.5 percent by weight terramycin and approximately 96.5 percent by weight of one or more non-toxic substances applied to tops of brood frames at rate of approximately one tablespoon every four days for a period not less than three consecutive weeks; or by application of such other medical treatment as may hereafter be determined by the Commissioner to be equally effective. 2. Fumigation of equipment exposed to or otherwise contaminated by the causative agents of a contagious disease, in an atmosphere consisting of Ethylene Oxide gas at a sufficient concentration, pressure, temperature, humidity and for an amount of time under these conditions to destroy the ability of the causative agents to infect any bee with a contagious disease. 3. Sterilization of any and all bees infected with or exposed to any equipment exposed to a contagious bee disease, by burning said bee equipment and burying under at least 12 inches of earth. " As you can see by the section that I highlighted, we are not limited to using the above methods. Nowhere does it say that we cannot use oxalic acid. Where do I find this supposed list of "approved" treatments, and who does the approving? As far as I can see I can do what I want. Obviously I wouldn't want to put anything in the hive that was toxic (or at least in toxic levels) to bees or humans. Oxalic acid is much more benign than most chemical treatments. It occurs naturally in many of our foods. In addition to this I never use it when there are supers on. The same precaution as when doing anything with the hives, including something as harmless as powdered sugar. So I am honestly curious where the law is that says that I can't use Oxalic Acid to treat for mites. It's the USDA that approves drugs or other substances intended to function as medical treatments, including veterinary drugs (as for bees and other animals). The law that says you can't use unapproved treatments is quite simply the law that is evoked on the label of every chemical and drug sold in the US; something to the effect of "it is a violation of Federal law to use this product in a manner inconsistent with its label". Of course, as I mentioned before, the Feds aren't going to raid you for feeding your bees anything unless it's somehow threatening other people or animals. It's on you whether you decide to listen or not. I choose to follow the rules and my advice to others if asked would be the same. But, that's just me. 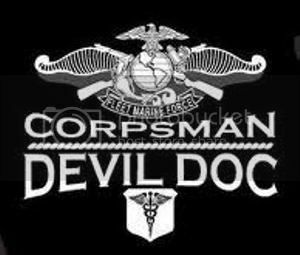 I was a FMF Corpsman attached to the Marines for 17 years of my 24 years in the service. I don't have a broad knowledge of medicine, I am not a doctor, I mainly dealt with trauma care in the field under enemy fire. It doesn't take that training to know that it's very important to avoid antibiotics unless you find yourself in the most dire of circumstances. I agree with 2Sox on this account. Bacteria can evolve to quickly and if you start popping pills you will quickly find that they won't work when you need them most. The reason I started this way is because it goes the same with bee's. I wholeheartedly disagree with those that do the preventative measures on the same premise as antibiotics. Now on the other hand, for those who are 100% non-treatment, I do respect the approach that is taken, in a perfect world, that would be my stand. It's not perfect. If you you came down with gangrene, would you let yourself die for posterity's sake? I think not. Why would you let tens of thousands of bee's die? It is more ethical if it's done to strengthen the bee's predisposition to disease, but it is unethical, so you can put on your honey label that they are untreated. Treat the bee's as you would treat yourself. That is how I treat people, that is how I will treat bee's. Remember, you have volunteered to act as their steward, so it is your responsibility to help them stay alive as much as you feasibly can. Funny thing is that some individual persons create their own rules to beekeeping. They do not need universities or common theory about beekeeping. One of these theories or manners is that "only desperate persons extract honey and sell it". Like one well known member wrote that "he thinks that people in Finland are so poor that they must extract honey". - that is the way how to create the own world. Take a look at the May issue of American Bee Journal. Randy Oliver has an excellent article that speaks directly to you stand and addresses other issues that we have discussed on the thread. One guy invented that he put a dried rhubard leave into the hive. When bees bite it, they get oxalic acid and it kills mites. - I think that this is against the law. I have serious doubts that any treatment kills mites in capped cells in any significant numbers. And if it does, then it's even more dangerous to the bees and to brood... But, if one organic acid being vaporized does, then probably any would. Of all of the organic acids (all of which will totally disrupt the microbes in the colony and damage the bees by the same mechanism it does the mites) the only one you have really good control over (not temperature dependent) is vaporizing Oxalic acid. Since you are controlling the heat causing the vaporization, rather than ambient temperatures, you can get a predictable result. With Formic, it's always temperature dependent. Although thymol isn't an organic acid, it has the same issues of being very dependent on the ambient temperature (and killing a wide spectrum of microbes). As long as the dosage varies greatly because of things beyond your control, you cannot get predictable results and whenever you are trying to kill an arthropod on a arthropod, you are going to have to have very precise dosage in order to not kill workers, and queens along with Varroa. So it is. Thymol and formic acids are meant to treat brood hive, that mites do not hurt winter cluster bees. The more stuff, the more injuries to brood and queen. For exaple Cadanians have use formic acid lond time and 2 years ago they had bad draw backs. in Switserland they lost 50% of hives 2 years ago for varroa. In Finland we have had too serious problems with varroa even if it seemed that the issue is under control.
. Yes, in practice things do not go like in thery. Last summer I treated a swarm with 1% formic acid solutiuon. It did not killed mites. I know that 3% affect very well. I read a new research which said that 3% is too strong and 1% is suitable. But I know now that it is not.